The world game is so well known and is associated with the leading international brands. 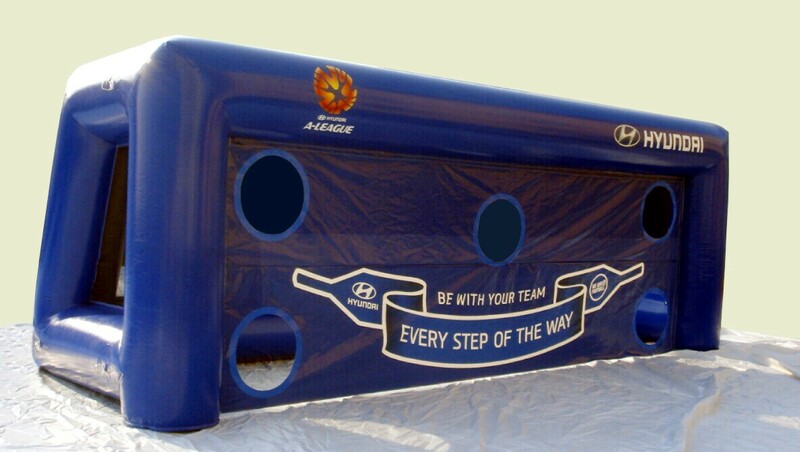 Inflatable, interactive soccer is a compelling, innovative and exciting product that actively engages with a fan base. Giant Inflatables offer a turnkey service that includes concept design, manufacture, storage, staffing and operation as well as the event management and production. All this offers you a seamless, reliable, inflatable event that runs like clockwork. There are numerous inflatable game types that typify the game of soccer and are always engaging. Fans and brand enthusiasts as well as sport people always love a fun way to demonstrate and challenge their skills. 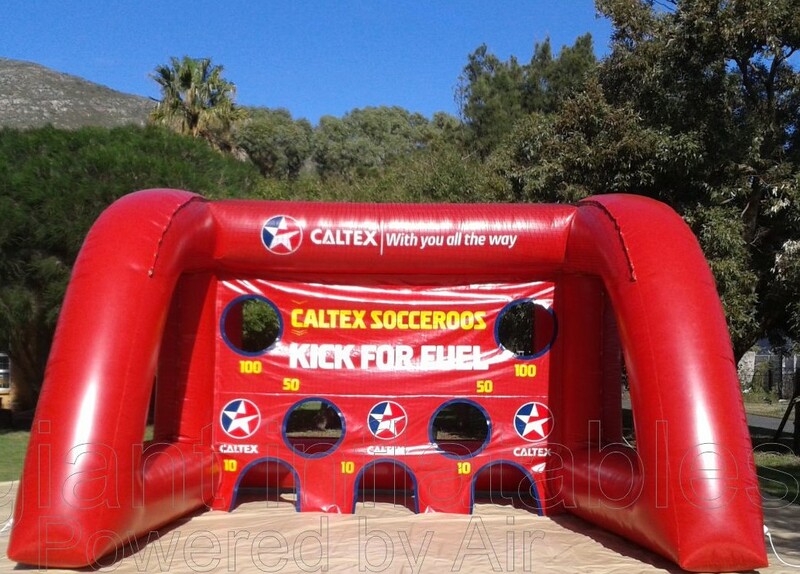 Giant inflatables produce a wide range of highly brand-able football and soccer related inflatable games and enclosures. 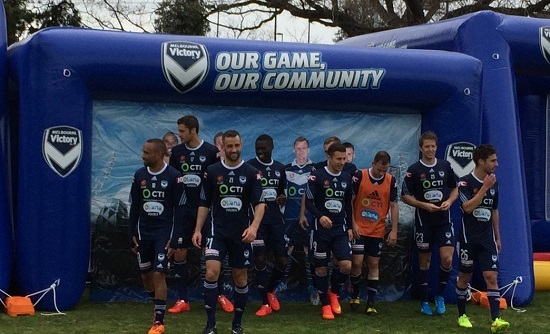 We supply the elite teams of all codes of sport and have had every type of equipment tried and tested by our own Melbourne Victory. We have also produced a number of inflatable soccer fields that can be used anywhere there is open space big enough to accommodate the measurements you require. 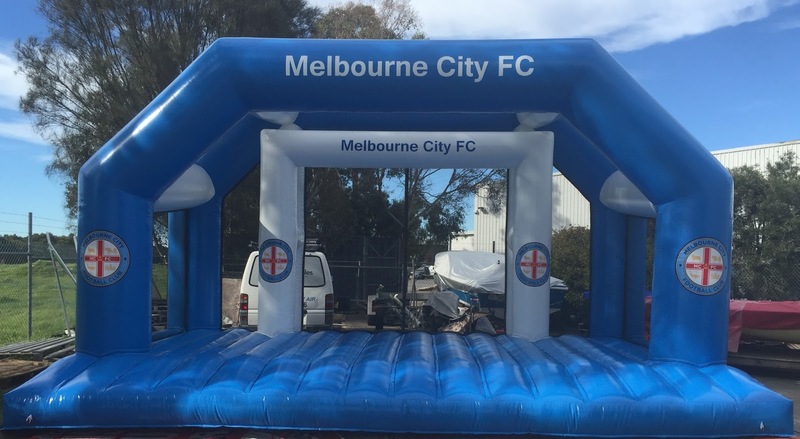 In addition we have recently created for Melbourne City Football Club goals with a dive cushion to enable skill development without injury. Our latest instruction is to create an inflatable “Target Board” with Velcro to kick soccer balls onto the target. Our job just gets better and better!